Gerard McCabe’s breathtaking Elegance Engagement Ring is a traditional style, crafted to stand the test of time. 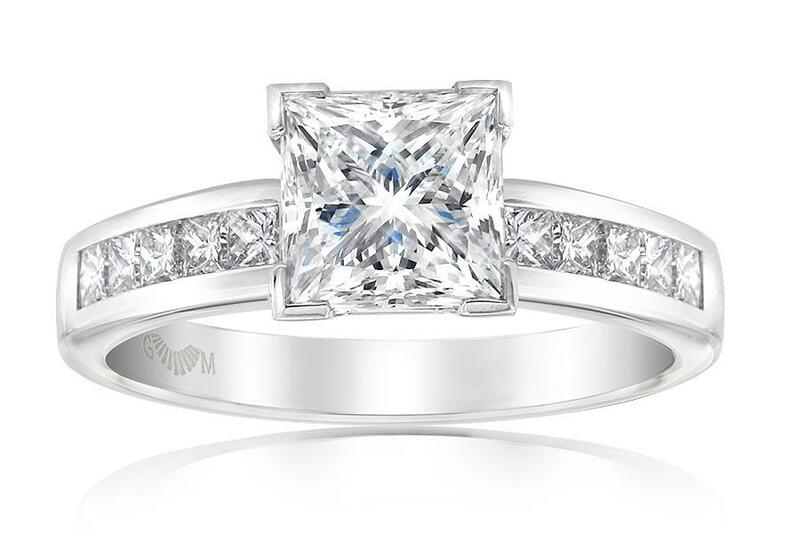 If you’re looking for a diamond that speaks volumes, yet remains timeless, then the Elegance Engagement Ring might be just for your special someone. Crafted to stand the test of time, this diamond ring is sophisticated and refined. As the diamonds disappear down the side of the finger, you’ll find this is the perfect ring choice for a woman with long fingers. The central diamond is truly spectacular, and sits above the collection of glistening gemstones along the band. 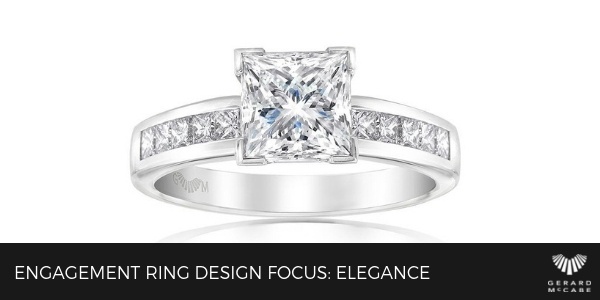 Featuring a central princess or round diamond, the classic nature of this design, allows for a delicate and feminine aesthetic. Having been working for Gerard McCabe Jewellers for over a decade, Jackie has helped hundreds of couples find their perfect bridal set. And there’s nothing more romantic than helping someone find the diamond for the love of their life. We sat down with Jackie from Rundle Mall and asked her a few questions about the popularity of Elegance design, its timeless nature and what makes it one of Gerard McCabe’s most enduring designs. Comprised of refined beautifully selected diamonds that sit effortlessly within the band. The classic nature of the design, means it’s perfect for a professional woman, someone who is after something a little extravagant, but not too dramatic. 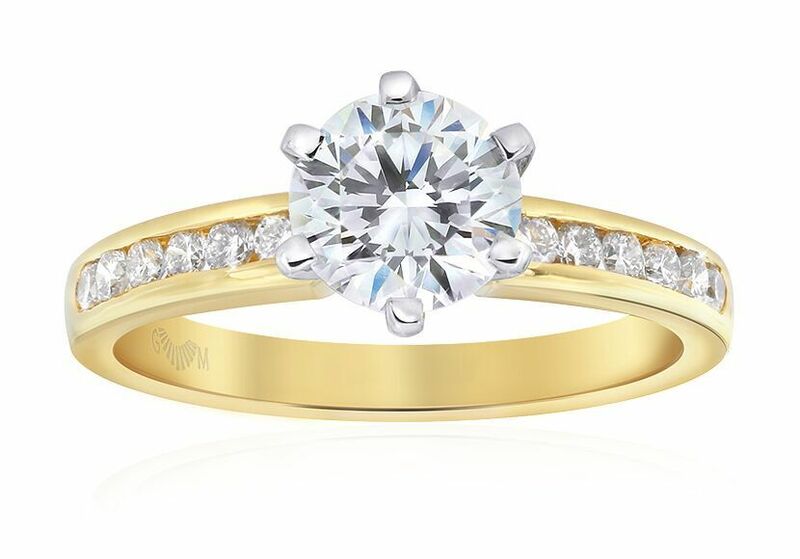 The beauty of the Elegance Engagement Ring is the array of metals and diamond shapes it comes in. Whether you’re after that solitaire with something a little extra, then you’ve found the one for you. Jackie and the entire Rundle Mall team invite you to come in store and discover the beauty behind the Elegance Engagement Ring, and entire range of diamond creations on offer by Gerard McCabe. Each piece is a true representation of why we’re known as Adelaide’s Diamond Specialists, so come in store and find that special ring your loved one will treasure forever.